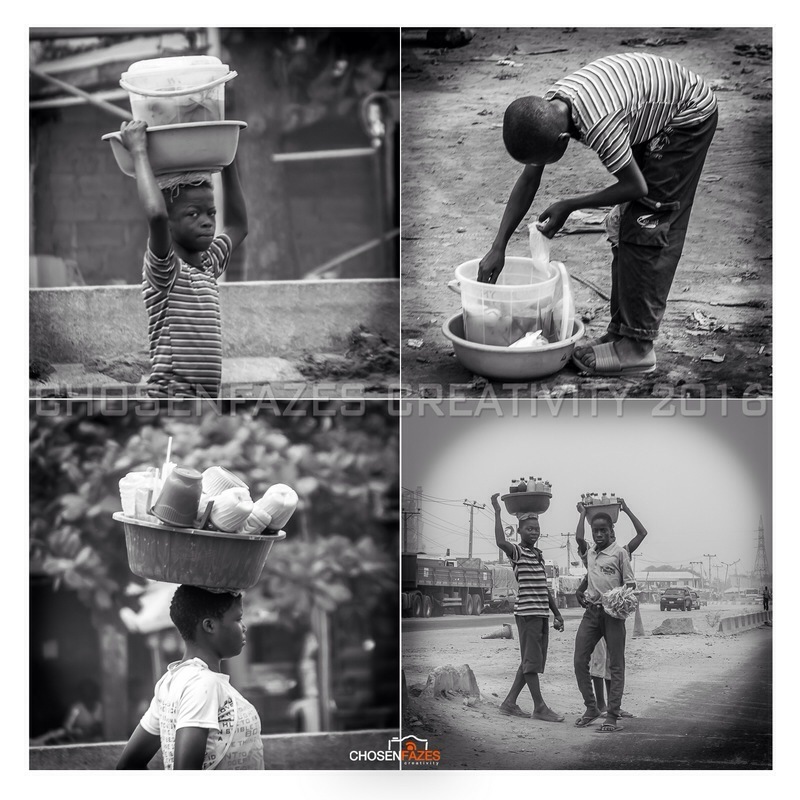 While on my normal personal Photowalk today in Papalanto, Ogun State this afternoon, I sighted so many underage hawkers roaming about with different goods for sale during school hours. I felt burdened and questioned why a 12 year old will abscond school. But to my surprise, one of them I chatted with said he loves working than schooling. Another said he lost his parents and had to help his guardian in her business to raise funds for school fees. Among the ones I saw today are these beautiful four I like you to see. They need your help.